‘It’s a true story this.’ John Atkin, the new CEO of office furniture company Bisley, is a real storyteller. The conversation starts with ‘We were making drugs in Albuquerque before Breaking Bad’, and often falls into territory it perhaps shouldn’t. That’s not to say that a story shouldn’t have its swerves, feints and doubling back: no company’s history is perfect. In our interview Atkin is open, candid and generous with his words: painting a colourful picture of a company’s past, present and future. At first, Atkin’s own trajectory seems less clear. Though ascending to his current role through financial positions in the automotive and furniture industries after starting as an accountant at KPMG, he has also run an herbal medicine company with a childhood friend, and spent time travelling in Australia, first with his partner, and later with his kids in tow. Always one to seize the moment, he says of his time in the herbal medical industry: ‘We rode this wave that was really, really popular in the early Nineties’, attributing their rapid growth to ‘saying no to nobody’. Unusually, and fortunately, these decisions seem better with hindsight. In his stories, past experiences – wherever gained – are the step that leads to the next. And so he talks me through the course that has led Bisley to where it is today, as an significant manufacturer of steel storage. Atkin is new to the position of CEO but has been at Bisley since 2007 and in the furniture sector since 1999. There is a healthy relationship between him and his predecessor, Richard Blackwell, and their different strengths mean that they’ve moved in and out of roles at Bisley, one above the other at different times. He jokes, ‘Richard now calls me a boss... in a rather sarcastic way... because I used to call him boss in a similarly sarcastic way.’ Jokes aside, John Atkin clearly has respect for Richard Blackwell; his 30 years of knowledge is a huge asset to Bisley, where he will remain on the board as executive director. Atkin describes that board (of Bisley’s holding company, FC Brown) as one of the necessary components to Bisley’s successful whole. Complementing Richard Blackwell’s presence on the board, are ‘carefully appointed’ individuals he praises for their own strengths and experience, hailing externally from Herman Miller, Dyson, Deloitte and Tata Steel, as well as others who’ve been long-time Bisley employees. While Bisley has gone from strength to strength, Atkin candidly categorises some of Bisley’s past development as, at times, ‘haphazard’. He himself has enjoyed lucrative results from unlikely ventures, and while Bisley is still going strong after 80 years in the sector, he believes the present time warrants a ‘laser focus ...on what [Bisley] is actually good at’. This, he concludes, is a return to where it started. Bisley was and is a manufacturing company, and while Atkin takes the responsibility to keep the 500-600 factory employees busy, by focusing on products Bisley is able to make itself, he balances this need with the recognition that ‘there’s no one in the world who believes that the demand for steel storage of paper is in growth’. As it stands, Bisley produces 15,000 items each week from its factory in Wales, and what it does have are loyal customers in large numbers. Around a third of all UK steel storage currently originates from Bisley, though often supplied through Ryman, Viking, Staples, John Lewis, and Bisley Direct (an independent company), where you can find the most common Bisley items such as the filing cabinets or the MultiDrawer. The latter was launched in 1958, and is still manufactured and sold today, having been awarded the Design Guild Mark in 2017. Atkin is proud of these designs’ longevity; referencing his experience in the automotive industry, he creates a parallel with BMW, whose infrequent redesigns he credits as the reasons for BMW’s own success. It is Bisley’s consistency and ability to deliver that has meant being approached for new partnerships, naturally growing its offering. Bisley has been appointed to the Crown Commercial Services Supplier framework, marking the official launch of a new Public Sector division for the company. It was able to successfully bid for five lots; some within Bisley’s existing remit, and some representing new opportunities. Atkin seems quite open to what the future may offer; when I ask John what else Bisley might do, he flips the question to what it’s not going to do: ‘We’re not going to start making full ranges of desking, system desking...there are plenty of people who do that spectacularly well.’ He has no desire to compete in a crowded market, or to produce the products that would compete with Bisley’s own customers. Bisley is diversifying for its future security, and so far is having success on projects with tech companies. A number of as-of-yet-unannounced ventures are driven by new technology, and Atkin seems pleasantly surprised that when these pioneering companies ‘did their research’, they found they wanted Bisley to deliver their project.They came to Bisley because of its proven manufacturing ability, and knowledge of the current and future possibilities of steel storage. 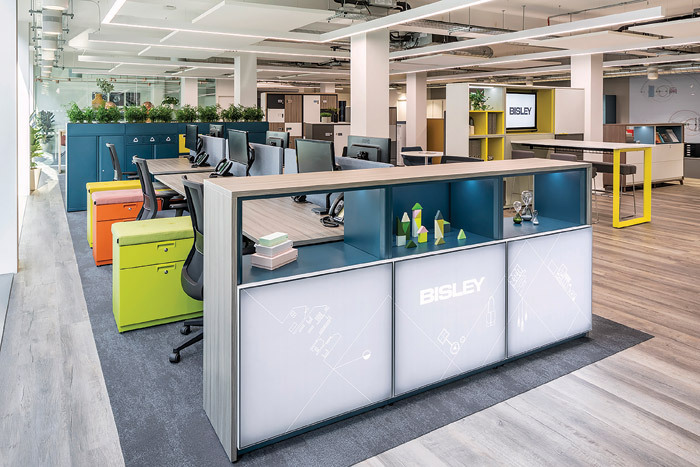 While its impressive track record speaks for the quality of its products, Bisley is a keen supporter of events and new initiatives for the design industry and its press. For Atkin, a trade publication like FX is the vehicle for Bisley to change perceptions of what it manufactures and ‘show what else we can do’. Another way in which Bisley is becoming increasingly visible is with the launch of the Bisley Shop, its own online platform where it sells a limited range of special editions as well as core products in more unusual colours.These cater to (and provide access to) a new kind of customer, and though not delivered as quickly as from consumer outlets, Bisley can still deliver its goods to the customer within a week. From the recognisable MultiDrawer to products such as the Bisley Caddy, these are suitable for smaller companies and home offices; for those who can purchase what they’ve seen and want, while shouldering the higher prices of a small order. The Bisley Shop also offers the consumer a range of ‘bundles’, consisting of task chair, desk and storage product. At this point in the interview Atkin confides that he is ‘rather cynical by nature’. This is surprising to me, but later hinted at as he downplays the strength of the Bisley name – rather unassuming move for a CEO. While appreciative that Bisley’s heritage is important, Atkin warns of new companies that seemingly come out of nowhere: ‘You can develop something very, very quickly.’ That said, his parting message is a reflection on his past: ‘Herbs cannot cure everything’ he asserts – and he doesn’t believe Bisley should aim to either. Instead, Bisley must do what it does well; ensuring new ventures and partnerships are always aligned with its key strengths. Having opened in-house wood production facilities in 2015, Bisley is now able to explore new material innovations, such as visually ‘soften[ing] steel’ to appeal to current trends. It might ‘either take a steel product and clad it, or innovatively...take a wooden carcass and create the steel doors and fittings,’ taking advantage of the range of colours it is able to paint its steel. However Bisley does not limit itself to these aesthetic innovations. 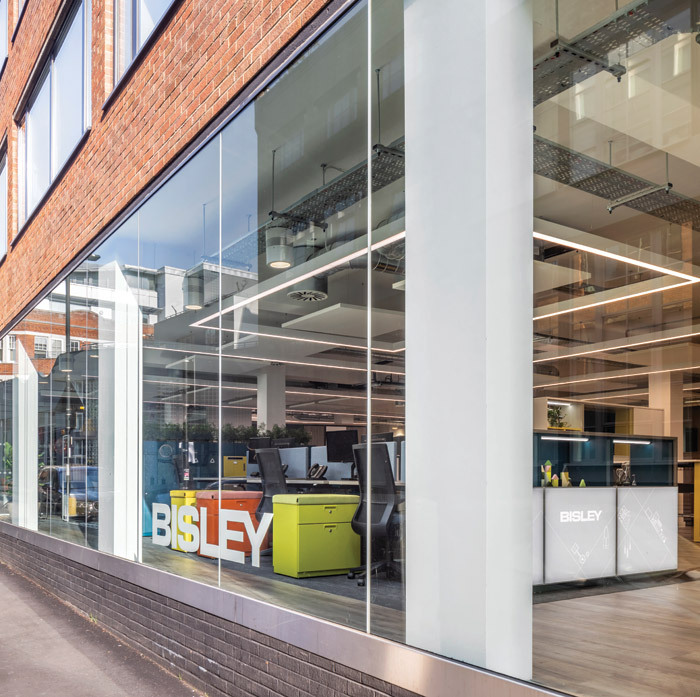 As Bisley continues to grow, a number of projects lead in new directions – such as exploring developments in 5G and the Internet of Things. 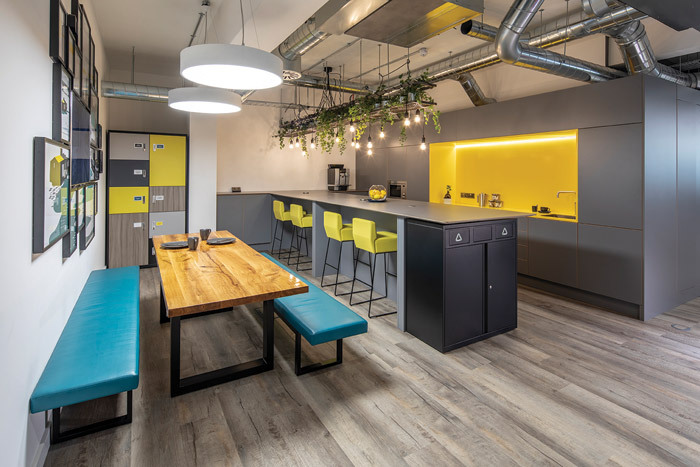 Some of these might seem fanciful for a company specialising in steel office furniture, but what does Atkin believe they have in common? Storage. With a positive outlook to new opportunities, he says: ‘Those specials, and those projects, do then migrate and become the standard models of the future.’ Remembering all that it’s come from, Bisley’s current projects show its firm intentions to be the future standard of storage too.